VueScan is a powerful scanning software that works with most high-quality flatbed/film scanners to produce scans with excellent color accuracy and balance. 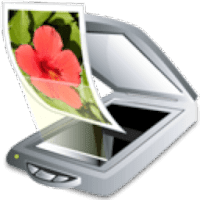 It's a popular scanner software that is used extensively by photographers, home users, scanning services and corporations. VueScan supports all types of scanners and special hardware. It has accurate color correction from color negatives. It also does batch scanning, auto focus, multi-scanning. In addition, it retrieves the full bit depth of data from scanners, process and manages to get a good picture out of the scan. The program can be used with its own drivers, or with drivers supplied by the scanner manufacturer, if supported by the operating system. Vuescan drivers can also be used without the program by applications software that supports scanning directly, such as Photoshop, again enabling the use of scanners without current manufacturers' drivers. Easy to use - preview and scan. Compatible with over 3000 scanners. Outputs scans in a variety of formats. Disclaimer: Direct downloads for the lastest version of VueScan 9.5.85 are provided by the official software's author, we can't guarantee safety, availability or download speed. Moreover, we don't and we won't provide any pirated/illegal versions or tools. We recommend you to avoid it as these methods can harm your device. If you like the software, buy it to support the developers. (We provide software discounts for many worldwide brands).